Is Mobile Grooming for You? Are you thinking about starting your own dog grooming business? After graduation, the possibilities are endless! But maybe you aren’t looking to start another salon in your town. Although not as common as home or salon grooming, mobile grooming is a great option for the aspiring groomer. Beyond just owning a car, there’s a couple other things you should know about mobile grooming. Read on to see if this path is for you! What exactly is mobile grooming? Essentially, mobile grooming is when a groomer travels to their clients’ homes. Mobile groomers invest in a large van or truck to transport their equipment from place to place. Many mobile groomers will bring the dogs into their van where they have a mini salon set up. Others may bring equipment into their clients’ homes to groom the dog in a more familiar environment. However, this latter scenario is rare as it makes clean up and sanitation difficult. Mobile grooming can be beneficial for both you and your clients! It sounds like a pretty great gig, right? But don’t just rush out to invest in a pricey vehicle and equipment for your mobile salon without knowing all the facts! 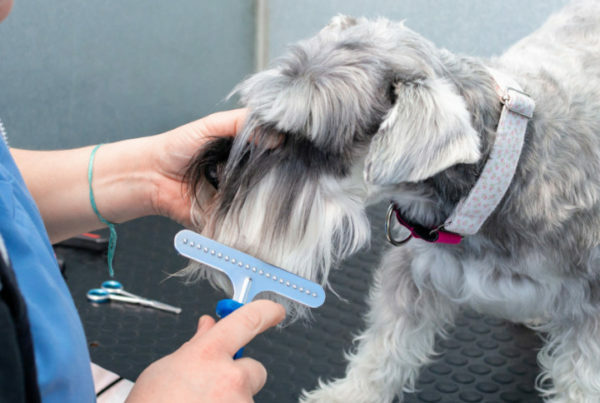 Let’s weigh the pros and cons of mobile grooming so you can decide if it’s for you. When you start your mobile grooming career, you’ll need to either convert a vehicle you already own or purchase a new one with everything you need. It can be extremely expensive up front, but remember that this is a one-time cost. Since you won’t be paying rent for a salon, it’s worth it! For the first little while, you’ll be working to pay off the vehicle. But putting money from your dog grooming salary back into your business is a great place to invest it! Being a mobile groomer can be convenient for both you and your clients. You’re travelling to your clients, which will set you apart from typical salon groomers. You may think that having a small space would mean not having enough room to groom. But when you need to work with what you’ve got, you’ll find yourself becoming more creative with your how you organize your workspace. You’ll find space-saving ways to neatly stow away your equipment in your vehicle. Clean up is relatively simple, and you’ll always be able to find what you need because your area of search is small. Because of your mobile flexibility, you’ll be able to reach a larger number of clients. Though travel time will take up parts of your day, you’ll be able to provide services to a wider clientele. For example, people who can’t leave their home often due to disabilities, old age, etc., will call on your services. Plus, anyone who just doesn’t want to drive their dog to a grooming salon every few weeks will come knocking at your (car) door! Mobile grooming is a great option for groomers in small towns that are far from large commercial areas. As a certified dog groomer, you know that many dogs can get overwhelmed and anxious when visiting the groomer. By travelling to their home environment, they’ll likely be a lot more comfortable! Additionally, you’ll likely only groom one dog at a time. This will limit distractions and stress for the dog, and, therefore, make your job easier, too. Between driving and grooming dogs in your vehicle, you’ll be spending a lot of time in a small space. Having a smaller space also means limiting the equipment you have. You won’t have much room to carry spare instruments or a wide variety of them. Once you get good at what you do, and accrue a loyal list of clientele, you’ll know exactly how to customize your vehicle for the day. Swapping out equipment once you know what to expect is the mark of an experienced groomer. Regardless, deciding if you’re comfortable with a small work environment is possibly the biggest consideration to make when considering mobile grooming. Unfortunately, running a mobile grooming business makes it hard to expand. Hiring employees, offering special services, or selling additional products are often off the table or expensive to do. For example, you can only fit one groomer in a van. So in order to hire employees, you’d need to invest in more vehicles! If you only want a small business or are willing to put lots of money into expanding, this may not be a problem. Although cost-effectiveness is an advantage of mobile grooming, there are still costs you wouldn’t have to deal with when working in a salon or from home. The cost of gas, vehicle maintenance, and insurance are at the top of the list. 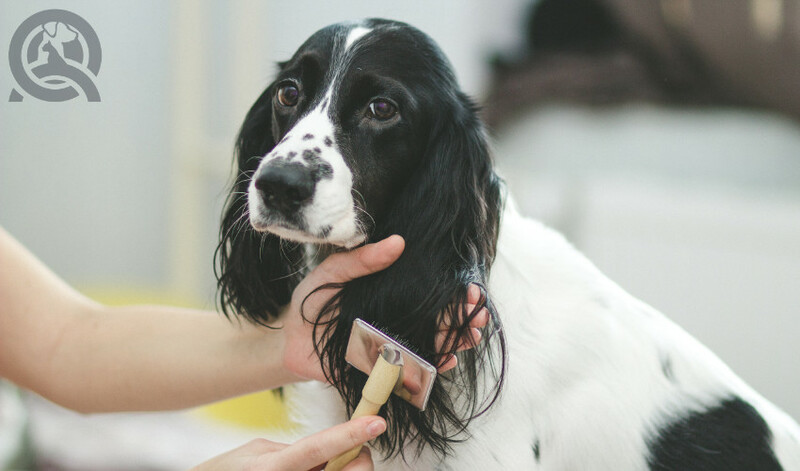 Since you have to add travel time to the time it takes to groom your canine clients, you’ll likely work longer hours to groom the same number of dogs in a day that someone in a salon would. Mobile grooming also means working at strange times (such as evenings or weekends) to meet the needs of your clients. 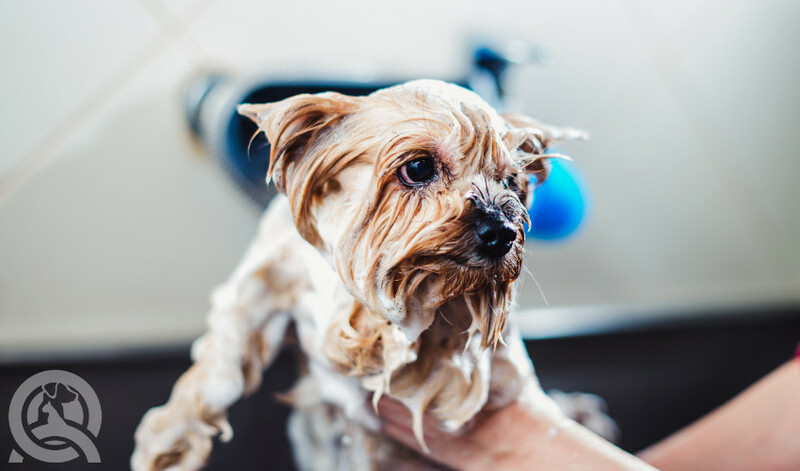 Can you think of other pros or cons of running a mobile grooming business? Leave a comment! On the fence about taking dog grooming classes? Check out this article for some of the pros and cons! 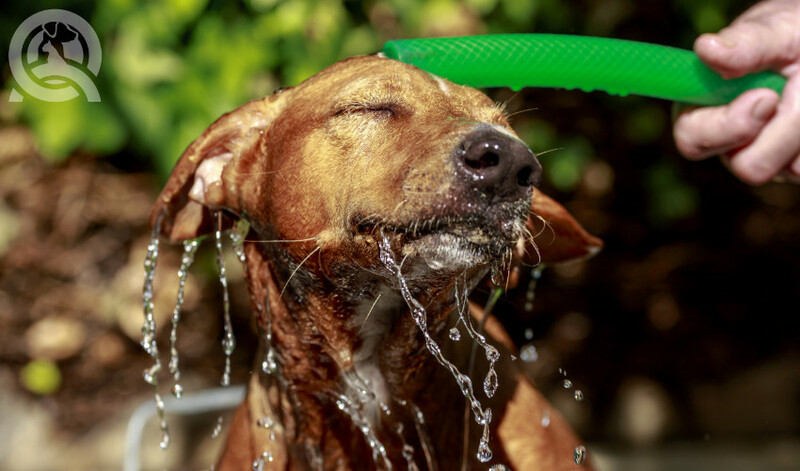 QC Pet Studies graduate Casey Bechard shares the 6 most common rookie mistakes all newbie dog groomers make their first year! Your clients don’t like your groom? Don’t take it personally! Read this to deal with a bad review without destroying your dog grooming business’ reputation! Coming home to a stinky dog is something every pet owner can relate to. 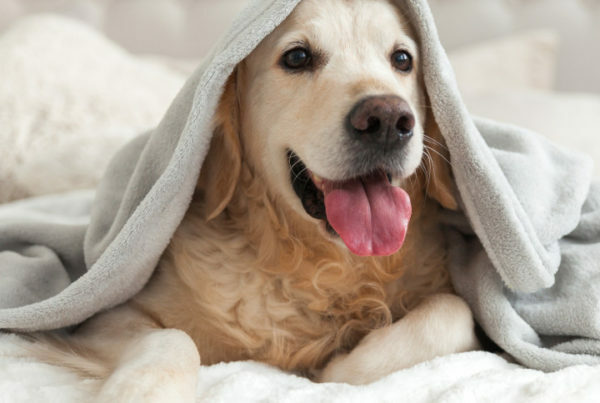 Here’s how to treat AND prevent pet odors in your home! 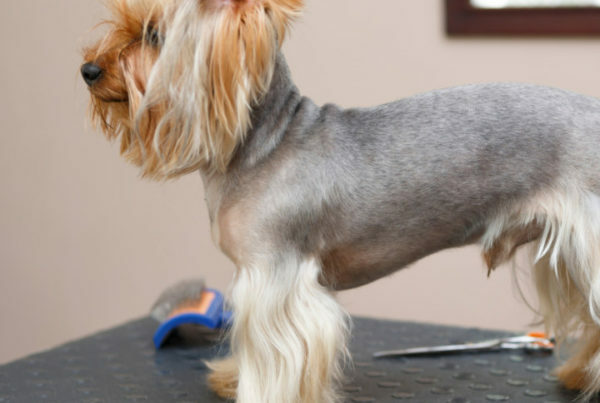 Learn about the many careers you can pursue as a dog groomer.